High end styling that’s not over-the-top is often times highly sought after, but not always easy to attain. If you’re looking for the perfect balance between simple design elements and an elegant, classy feel, you’re sure to be more than satisfied by these St. Moritz Sunset Blvd specs by LBI. This mixed material frame—composed of a metal front and durable zyl temples—is designed to fit comfortably on the face and comes in a smooth, rectangular shape. The thick, bold temples add a touch of flair without going overboard while the bridge and frame front remains modest and charming. 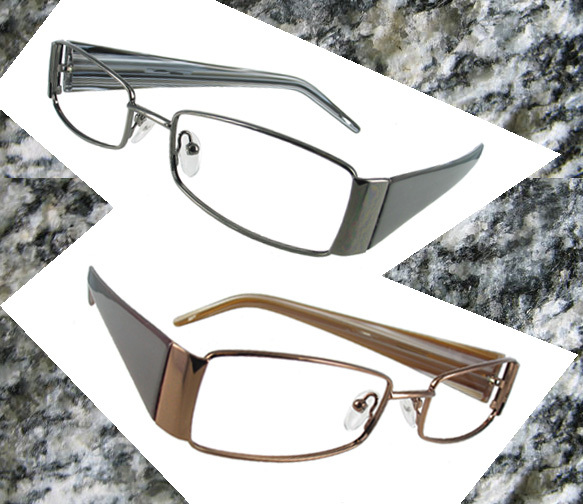 These unisex St. Moritz Sunset Blvd specs are available in three lustrous colors: gold, gray and latte.